Our people are passionate and committed! 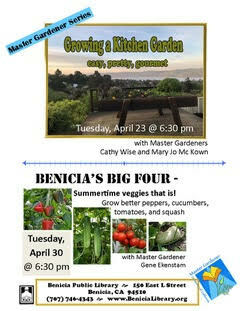 Elena joined Benicia Community Gardens in 2011, first as a Board member; she became an executive director for the organization at the end of the same year. 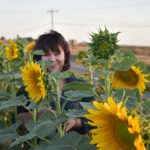 Elena brings to Sustainable Solano more than twenty years of management and business analysis experience in telecommunication and health care industries, an MBA from Vanderbilt University, her passion for nourishing sustainable food and her deep interest in local economy and community resilience. In her role of the executive director, Elena is responsible for strategic planning, financial and legal aspects of the organization, day-to-day operation and program development and management. 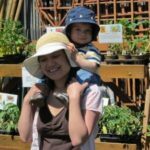 Although a longtime Benician, Nicole didn’t feel like she belonged to a community until she discovered Benicia Community Gardens. 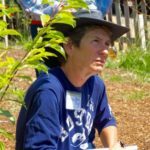 Having earned her degree in biology and having a personal passion for healing herbs and growing anything organic (especially from seed), Nicole joined the 2015 Land Caretaker’s Training, where she was introduced to permaculture.The concept resonated with her as a caretaker of people, now evolving to being a caretaker for the earth as well. She continued on to receive a permaculture design certificate with Toby Hemenway. Seeing the interconnection of all things inspires her to continue learning, evolving, and creating with others a fulfilled life. For her, healing and community resilience begins in a garden, and she looks forward to working with others to continue to bring sustainable landscapes into Solano County. 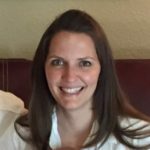 Sustainable Solano welcomes to the team experienced chef and healthy-eating advocate Stephanie Oelsligle Jordan where she will serve as Project Manager for our Local Food Program initiative. She will assist with program administration and oversee operational plan creation. 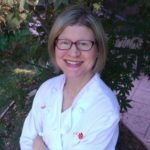 Chef Steph grew up in Nebraska and holds a BA in Communication Studies from Northwestern University. After working in Marketing and PR for several years, she caught the “cooking bug,” and in 2004 earned a Certificate of Professional Cooking from the Illinois Institute of Art. Shortly after culinary school, she started her own company, Hot Dish, Inc., through which she catered numerous private events. In addition to her work with Sustainable Solano, she also serves on the Board of Directors for Healthy Cooking with Kids and continues to cater private events. As a mother of 2 young boys, Chef Steph is passionate about teaching children to eat healthy from a young age, and increasing the accessibility of quality, organic food to families. She is an advocate of cleaning up our nation’s broken food system, and works for food justice whenever possible. 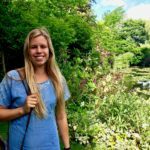 Hailing from San Luis Obispo, Kassie has been a passionate environmentalist from an early age, which she attributes to spending most of her free time as a child roaming around a campground or working in the garden with her mom. Fascinated by the dichotomy between development and conservation, she chose to attend UC Santa Cruz where she received degrees in both Environmental Studies and Economics. 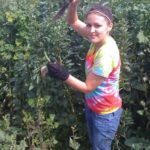 Time on the campus farm studying Agroecology ignited her passion for sustainable food systems, leading to a career in international organic commodity trading. She then shifted her focus to renewable and efficient energy, aiming to build brighter futures for cities and school districts across the country. Her work centered on leveraging energy savings to address clients’ mission critical priorities through a comprehensive program that reached beyond energy to complimentary initiatives like improving health and safety, creating STEM education platforms and fostering local economic development. Witnessing firsthand the meaningful change that can be achieved by applying a whole-systems approach to capture these synergies has lead her to Sustainable Solano, where she is excited to build from this experience in her role as the Resilient Neighborhoods Program Manger. Marcella began her food-growing journey with planting her first seeds at her garden plot at Swenson Garden in 2013 and has been an active BCG volunteer and supporter ever since. She has served as Public Outreach Volunteer Coordinator and a Communications Committee Member helping increase awareness of events and programs in the community. Marcella grew up in Vallejo, CA and holds a Psychology degree from UC Davis. As her interests in environmental efforts centered in food production and climate change evolved, she went and obtained an Environmental Science Certificate from her local college. Her passion for sustainable agriculture and community, background in nonprofit administration and acquired career in nonprofit capacity building led Marcella to join the BCG’s governing board. She hopes to make a difference by helping grow the organization’s financial stability and program reach. She enjoys gardening, doing yoga, cooking and diving into new experiences that she can grow from. 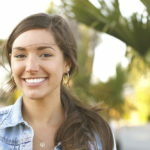 Gabriela holds a Bachelor of Arts in Sociology and Communication from UC San Diego. 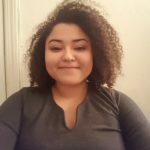 During her time in San Diego, she worked as a Community Engagement Intern where she investigated and identified effective approaches to engaging Southeast San Diego residents in healthy eating strategies, systemic food waste reduction and recovery tactics. Her work centered around building rooted communities through innovation and advocacy. After graduation, she worked at the Institute of the Golden Gate where she researched different approaches to homelessness in the park systems. Through interviews with different national and local stakeholders, Gabriela mapped novel and progressive collaborative methods and trainings, implemented by various urban parks, to better engage with homeless park goers. Gabriela thrives in socially conscious environments where people are committed to the creation of a more diverse and inclusive society and is passionate about identifying and developing sustainable and equitable solutions within her local community. She is committed to serving traditionally underserved communities by improving access to information and resources. She is also an advocate for rooted communities where everyone embraces a land ethic while securing their connection to purpose, their environment, and the people associated with sustaining it. She envisions a world where everyone has a seat at the table and is encouraged to share their voices and stories. Through her work with Sustainable Solano, Gabriela hopes to engage people in sustainability and healthy food initiatives through education, connection and personal passion. Allison Nagel is joining Sustainable Solano as the new communications manager, tackling a role that will help the organization expand its capacity to share the latest news, manage the resources it has to offer through the website and help tell Sustainable Solano’s story. 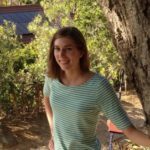 An experienced journalist and editor, Allison is excited to bring her skills to Sustainable Solano to bring more awareness to the community of what the organization has to offer among its interwoven initiatives. Allison is inspired by the power of people to create change within their lives and communities toward pursuing a more sustainable way of living. Allison holds degrees in journalism and business, has built a career working for newspapers and other news publications and volunteers her time with local organizations. She is excited that her involvement with Sustainable Solano, which started with volunteering a few years ago, can now grow through the use of her professional skills for the organization. Linda is joining Sustainable Solano as the new business manager. 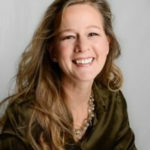 She began her career in nonprofit finance and accounting in the mid 1990’s and has contributed to numerous social and environmental organizations, helping them improve the management of their finances to benefit programs and expand outreach. She received her Bachelor of Science in Business Administration, majoring in Finance at Roosevelt University in Chicago and later earned her Master’s in Business Administration from John F. Kennedy University in Pleasant Hill. A longtime resident of Concord, Linda has three wonderful adult children and has been deeply involved in her community throughout the years. She enjoys volunteering for organizations that promote sustainability and provide assistance to those in need. Linda is a gardening enthusiast and likes to grow and cook her own organic food as well as ferment her own vegetables. She is excited to join the Sustainable Solano team to help promote initiatives that make a positive difference for the environment and the entire community. Sustainable Solano is a true community-based organization and enjoys continuous support from our community members. As a grassroots organization, Sustainable Solano has relied on the generous spirit and initiative of people of Solano County for more than a decade. Volunteers run our programs, tend to the Community Share Plot and deliver donation harvest, install demonstration permaculture food forests in Benicia, teach local school children how to grow food, and support all the business functions of our organization. Interested in being part of our vounteer team? Fill out our Volunteer Interest Survey to get started. Besides a very active working Board, Sustainable Solano has grown a volunteer leadership team that is actively involved in decision making and running of the organization. A recent graduate of the BCG Land Caretakers program, Kathleen’s passion for gardening began many years earlier on her parent’s farm in Oklahoma. Here her family raised organic fruits and vegetables and she developed a love of the land and a passion for plants. 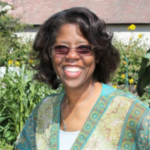 Kathleen hopes to use her background to help others learn about urban food gardening. She also helps spread the word about using water more wisely, installing Laundry 2 Landscape systems and retaining rain water by the use of bio-swales. 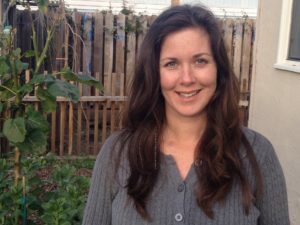 Kathleen is the owner of The RePurposed Okie, a landscaping company specializing in the design, installation and maintenance of urban food forests in the Solano County area. 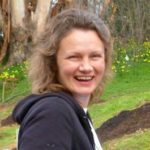 Kathleen is a certified laundry-to-landscape greywater installer; she is currently studying permaculture with Toby Hemenway. Kathleen brings her expertise and her enthusiasm to her clients and to Sustainable Solano as we embark on defining the principles of sustainable landscaping for Solano County. Rick recently retired after 45 years as a pipefitter in the construction field. He likes to spend his time gardening in his back yard that he refers to as a laboratory. 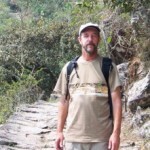 He received a Four Seasons Permaculture Design Certificate Sept 2012 from Regenerative Design Institute in Bolinas, CA. He joined Benicia Sustainable Backyards as an adviser in fall of 2014. 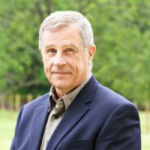 Andy is semi-retired from a diverse career in the water business, both hands-on and in management in water, wastewater and reuse, planning, engineering, finance, operations, construction and manufacturing projects and groups. He worked with Natural Systems Utilities, American Water, and Layne Well and Pump. Andy has served as a project manager, senior managing engineer, manager of a regional office, VP, CFO, SVP and EVP. Andy’s educational background includes bachelor’s and master’s degrees in civil engineering with specializations in environmental engineering and water resources. He obtained continuing education in business management and finance. He is a licensed professional engineer in California and Hawaii, and held the “A” contractor’s license in California. He is a member of ASCE and WEF. 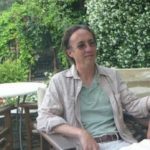 Andy has made numerous presentations, authored several technical papers, and has offered expert testimony in court and to governmental boards. 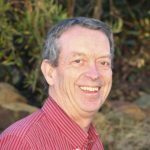 He presently serves as treasurer of his HOA, is active in the Benicia Yacht Club and is a Commissioner on the Benicia Community Sustainability Commission. We envision a community-supported kitchen and food center – a place where local chefs cook healthy, affordable meals using local sustainable ingredients, and community gathers around good food, education and inspiration. This is a core group of people who are at the root of this initiative. If you are a local chef or you have expertise in food business management, food safety regulation and/or legal aspects of community-based food centers, we’d love to hear from you. Heathy food for healthy community! 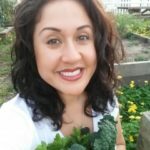 Lisa Núñez-Hancock, is a self described “natural food chef” both at home and professionally. She is new to Solano County and has worked as a culinary arts instructor, food activist and chef for over nine years. During that time she has taught her UR what U eat workshops to children, teens, adults and families. Her workshops stress the farm to table philosophy, cooking with natural, organic foods, basic concepts of good nutrition, and teaching artisanal food traditions from different cultures. The photo shows Lisa hanging out with the famous French Laundry chickens. Retired educator for 24 years…mother…grandmother…cancer survivor on a mission to bring vegan comfort food to those in need, the elderly, those with physical maladies, or even those who are too busy to cook. 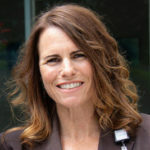 Robin Cox, MPH, CPH is a Senior Health Services Manager for Solano County Public Health, where she has 23 years of experience administering primary prevention policy, systems and environmental change programs and initiatives. She is passionate about preventing chronic diseases and encouraging community partners to incorporate health and health equity into their policies and plans. She spearheaded VibeSolano.com to create a friendly, interactive way to engage Solano’s diverse populations in more dialogue with Public Health. Robin is the Principal Investigator for Solano’s Partnerships to Improve Community Health grant from CDC and is a California Department of Public Health Lifetime of Wellness grantee from CDC. She served as the project director for Solano’s CA4Health Community Transformation Grant (CTG) funded by CDC through the Public Health Institute. 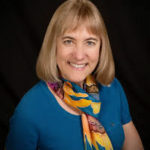 Robin is a past co-president of the California Conference of Local Directors of Health Education and was a contributing author to CCLDHE’s Framework for A Comprehensive Chronic Disease Prevention Movement in California. Robin was successful in incorporating a Public Health perspective into Solano County’s General Plan Update, and assisting with the City of Vallejo’s General Plan Health Chapter. From 2008-2011, Robin was a Governor’s appointee to the Statewide Public Health Advisory Committee, advising to the California Department of Public Health. She holds a Master’s degree in Public Health, Health Promotion and Education, from Loma Linda University School of Public Health, an undergraduate degree from UC Davis, and is Certified in Public Health from the National Board of Public Health Examiners. 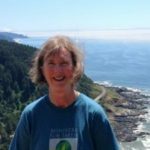 Gail Feenstra is the Deputy Director of the University of California ANR Sustainable Agriculture Research and Education Program (SAREP), a program of the Agricultural Sustainability Institute at UC Davis and the UC Division of Agriculture and Natural Resources (ANR). SAREP’s Food Systems Program encourages the development of regional food systems that link farmers, consumers and communities. Feenstra’s research and outreach has focused on farm-to-school and farm-to-institution evaluation in California and nationally, regional food system distribution, and values-based supply chains. She also works with Cooperative Extension and community groups on food systems assessments and local food policies. Feenstra holds a doctorate in nutrition education from Teachers College, Columbia University with an emphasis in public health. Amy Hartman is Solano County Regional Representative for Greenbelt Alliance. Over the last two years, Amy has led Greenbelt Alliance’s efforts to protect open space and encourage smart growth in Solano County. She discovered a new calling to environmental work after spending time in the natural wonders of the West Coast and most recently worked as a Regional Field Director for the League of Conservation Voters in Reno, Nevada. Amy also worked in the Baltimore/Washington D.C. area in various legislative and political campaign positions. Amy has a Master of Social Work degree from the University of Maryland and a B.A. in Government and Politics and Women’s Studies, with a certificate in LGBT Studies, from the University of Maryland, College Park. In her free time, she is a yoga instructor and Reiki practitioner. 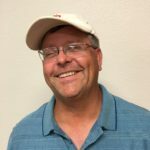 Mike Ioakimedes is the Business Development Manager for Solano County Fair Association. Mike is a lifelong resident of Solano County, where he and his wife Gayle operated a popular Benicia restaurant (Mike & Gayle’s Neighborhood Café) for 33 years. 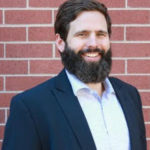 He has been active in local government serving on various City of Benicia boards and commissions including Benicia’s City Council, Planning Commission, and Economic Development Board. 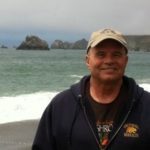 Mike is a 30-year plus member of Benicia’s Chamber of Commerce, has served on the board of the Benicia Historical Society, and has been very active in the Benicia Main Street Program serving as President multiple times. 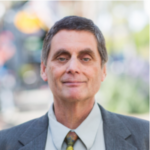 At the regional level, Mike has served on the boards of Solano Transportation Authority, Solano Economic Development Corporation, and was a founding board member of SolTrans. At the state level, Mike was very active in the California League of Cities serving on their state-wide Environmental Quality policy committee. Mike has also been a legislative advocate for the California Teachers Retirement System. He resides in Benicia, is a father to three adult children and recently became a first-time grandfather. 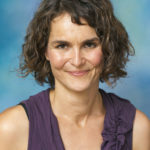 Kristin Kiesel is a faculty member of the Department of Agricultural and Resource Economics at the University of California, Davis. She received her Ph.D. from UC Berkeley. 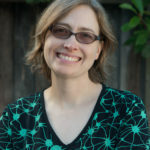 During a joint postdoctoral appointment with Stanford University and UC Berkeley, she helped develop the SIEPR-GIANNINI Data Center, for which she served as director for several years. Kristin has a passion for education and addresses health, environmental, and social aspects of the US food system in her research. More specifically, she has performed food demand analyses evaluating the effects of changes in labeling policies on consumer purchase decisions and welfare. 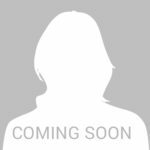 She further applies experimental and behavioral methods to the evaluation of food related school-based interventions and educational programs. Finally, in collaborations with community partners, she evaluates the feasibility of creating local food incubators and food hubs in her most current research. Ben Lyons & Denise Lyons are Farmers/Owners of Lockewood Acres, located north of Vacaville, CA in Solano County. The farm was inspired by an old 1954 publication which talked about the benefits of earthworms, and featured a farm (“Serenity Acres”) focused on self-sustenance. Originally planning to build a property that would sustain their family with wholesome and natural food, the Lyons went above and beyond the original goal, and now operate a full-service farm providing fresh vegetables, fruit, eggs, meat and honey. Lockewood Acres is certified organic by CCOF and is designed upon the Community Supported Agriculture model, serving Vacaville and surrounding towns. Striving to grow the best food in the most responsible way, the Lyons focus on Heritage seeds and breeds – carrying on agricultural traditions of the past – and sustainable agriculture practices. With a location in the Sacramento Delta Watershed, their water table is static at only 18’ below the surface, so contaminants can easily enter the water supply. Their outlook on the land and how to take care of it carries over into their farming methods, where they strive to control runoff, nurture the soil, and ensure healthy and delicious food for their community. Jahniah McGill is a Registered Environmental Health Specialist (REHS) who works with the regulated community to advance public health through educating and assisting facilities to comply with various laws and apply best management practices to better serve the public. She knows that a strong Environmental Health presence within the community and society in general makes for a knowledgeable consumer base which is interested in the wellness of all people regardless of their socioeconomic status, race or gender. Jahniah has recently become a Supervisor for Environmental Health in Solano County; however, she has been in the field of Environmental Health for more than 10 years working in the following programs: water systems, food facilities, recreational health, special events, plan check, wells, body art, and solid waste. She is a certified pool operator (CPO), certified health education specialist (CHES), and is currently the President-Elect of the California Environmental Health Association (CEHA). 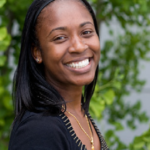 Jahniah holds a Master’s degree in Public Health form Walden University, a Bachelor’s of Science in Biology, and a Minor in African American Studies from the University of California, Riverside. Greg Morrison is a Board Member for Cultivate Community Food Co-Op. He grew up in Marin County on a small street on Mt. Tamalpais where all the neighbors knew each other and the sense of community was strong. Working as the neighborhood paper boy, baby sitter, and running a home delivery beignet business with his brother, Greg came to appreciate that local communities foster local economies and local economies strengthen local communities. Greg spent his adult working years as a Systems Analyst developing global systems for multi-national companies such as General Electric, General Motors, and Levi Strauss & Co. Now that he’s retired, he’s eager to get back to his roots and explore the possibility that technology can enhance both the local economy and the local community of Vallejo and Benicia. Cultivate Community Food Co-op is a perfect vehicle for making this happen as it brings people together in the one economic enterprise that everyone loves to participate in – the growing, preparing, and sharing of delicious, healthy food with friendly, helpful, fun, and interesting neighbors. 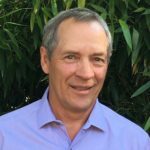 As an Advisory Board member for Sustainable Solano’s USDA LFPP project, Greg will be involved with data analysis, distribution strategies, and examining ways in which the two projects can partner and benefit each other. Stann, a well-traveled Central Valley native, has been an educator most of his life and has taught elementary grade students on three continents. His passion for sustainability and the local economy began in collage where he and other students embarked on various land-based community projects around the seasonal needs of local agriculture. Stann brings strong business sense and knowledge of local economies from all over the globe having recruited for the Federation of Small Business [UK], managed multiple businesses including a farming company, and consulted numerous nonprofits on how to increase funding. As a Board member, Stann will focus on integrating the concepts of a vibrant, just and sustainable local economy into all our projects and programs. He believes that a fuller understanding of the economic process will enable a more equitable sharing of the values created. The Natural Resources Conservation Service (NRCS) is an agency born out of the environmental disaster of the Dust Bowl, and is dedicated to “Helping People Help the Land”. Over the last 80 years, NRCS has worked closely with local growers and partners to direct Federal funding and technical expertise to local resource conservation efforts on private lands. The agency’s mission has evolved from a focus on preventing soil erosion to protecting all natural resources- Soil, Water, Air, Plants and Animals- in a collaborative effort with private landowners and local partners. Wendy has been working at the intersection of agriculture and environmental conservation for more than 15 years in California; as a graduate student, a farm worker, at the Solano Resource Conservation District and at NRCS. 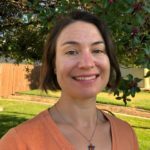 She now directs NRCS programs and staff in the Vacaville Field Office, working to improve natural resources on private lands in partnership with the producers of Solano County and the Dixon and Solano RCDs. Sarah acts as a liaison between agricultural businesses in Solano County and the local government, with the goal of facilitating projects and helping to add value to agricultural endeavors. This position is an ideal combination of her passions for agricultural businesses and economic development. Steve Dunsky has written and directed films for 30 years. As a filmmaker for the U.S. Forest Service, his projects cover a wide range of conservation issues. Along with his wife, Ann, he has produced the award-winning feature documentaries The Greatest Good, Butterflies & Bulldozers, and Green Fire. In recent years, he has helped to organize the Visions of the Wild Festivals and Geography of Hope Conferences, and programs films for the Empress Theatre in Vallejo. He holds a B.A. from Bowdoin College and an M.F.A and C.Phil from the UCLA School of Theater, Film and Television. He grew up in New York City but has lived in California most of his life. 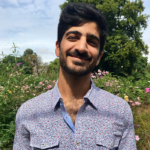 Ojan Mobedshahi is a certified permaculture designer, and a licensed landscape contractor. A second-generation Iranian American, Ojan was born and raised in the Bay Area. Growing up, Ojan got to spend a lot of time exploring the native landscape, hiking and climbing trees. After graduating with a BA in Economics, he returned to the land, working on a small farm, teaching urban agriculture, native landscaping and aquaponics to students in San Jose, and leading volunteers at a community farm called Veggielution. This experience deepened his love for the land, respect for nature and passion for community-led healthy land use projects. Ojan participated in grassroots efforts to push developers to incorporate sustainable agriculture into projects. While finding some success, he also noticed structural challenges around financial feasibility, property ownership and extractive land use, which pushed him to dive into the world of real estate. After an educational stint in real estate brokerage and development, in 2017, Ojan started his own permaculture-based design-build firm, Happy Planet Landscaping. He also became a founding staff owner and is currently the finance director of the East Bay Permanent Real Estate Cooperative, working to democratize the access to land and capital across race and class. Ojan is working with Sustainable Solano on the Resilient Neighborhoods Initiative. When he is not following one of these passions, he enjoys making music, taking long hikes and napping on the beach. Jada Miller is an undergraduate Managerial Economics student studying at UC Davis. With the intent to graduate this June, 2018 she has decided to explore more big picture projects and is excited to be working with this team. Over the course of this project she hopes to learn more about how the agricultural industry is affected by moving sales trends and how to better market local goods for the consumer. n integrating the concepts of a vibrant, just and sustainable local economy into all our projects and programs. He believes that a fuller understanding of the economic process will enable a more equitable sharing of the values created. Hannah Krovetz is a Graduate Student Intern on the Sustainable Solano Community Food Center project. She is currently a Masters student at UC Davis studying Agricultural and Resource Economics, and is excited to apply her education to a real-world problem. 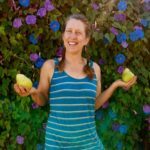 Her passion for food, agriculture, and sustainability began while studying at UC Berkeley as an environmental science/environmental economics major. 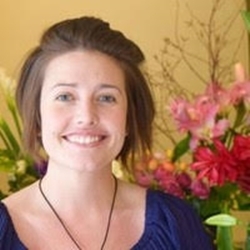 Jessica has a degree in biology with a focus on zoology, but her current passion revolves around cooking and teaching people how to feed their families wholesome, nutrient dense meals. Although she is not a formally trained teacher, her passion to share health, her experiments and recipes, drives her to spread the news to as many people she can in her community. She came to the BCG through its organic partnership with Essence of Life Healing studio and became a prominent volunteer speaker and educator. As her little ones grow she hopes to become a larger part of the Sustainable Solano family and help to bring other local groups together in the Sustainable Solano network. chickens@beniciacommunitygardens.org Steacy was born and raised in the Bay Area and spent most of her childhood on a family farm in the outskirts of Vacaville with chickens, rabbits, cows, horses, geese, and ducks. She moved to Benicia as a teen and has lived there ever since. Experienced homesteader herself, she quickly met and became active with local urban homesteaders. 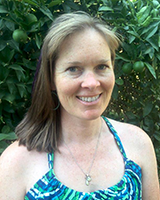 Steacy is the Volunteer Coordinator for Benicia Community Chickens, a part of the Benicia Community Farm. 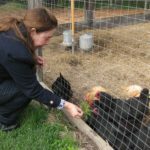 Her goal is to offer guidance, training, assistance and resources to local backyard chicken keepers, and to establish a sense of community among both beginning and experienced urban homesteaders. Jack recently moved back to the Bay Area from Atlanta, Georgia, where he and his wife Maggie were avid gardeners and helped cofound Lanier Community Gardens. He grew up in Southern California, so he always has at least heirloom tomatoes growing, a basil vegetable garden and a compost pile, water permitting. With a love of plants, mushrooms and healthy food, volunteering to support Benicia Community Gardens and its vision of community was a natural fit. He works mostly online by day in information security and regulatory compliance, so playing in the dirt at Avant Garden is welcome relaxation! 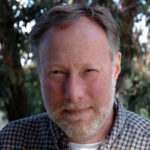 A graduate of UC Berkeley College of Natural Resources with a multidisciplinary focus on environmental microbiology, Jack has worked on biological control of mosquitos and is a former Chairman of the Mycological Society of San Francisco Toxicology Committee, an avid mushroom forager, and sometimes cultivator. Maggie Ingalls has been a gardener for more than 30 years, first in Southern California, then the Chicago suburbs, and for the last 9 years, in Benicia. She grows vegetables, fruit trees, flowering perennials and California natives. She is a passionate advocate for supporting local ecosystems by growing native plants. She volunteers at the Solano Land Trust and the Regional Parks Botanic Garden, where she is a docent. 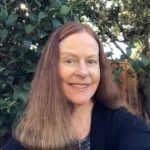 Stephanie Glaze is joining Sustainable Solano as the new volunteer coordinator, assisting in the recruiting and tracking of volunteer activity for the organization. Stephanie became acquainted with Sustainable Solano while obtaining her bachelor’s degree in Liberal Studies at Sonoma State University in 2017. She attended several workshops and asked sustainable landscaper Kathleen Huffman to be her mentor for her senior project. The sustainable backyard project included a greywater system and plant guilds. Stephanie is passionate about food. She loves to cook for family and friends, often having them try things they are convinced they don’t like, such as kale chips, Brussel sprouts or roasted beets. She loves to set an example of cooking and eating healthy food. Stephanie is excited to expand her passion for food to assist Sustainable Solano in expanding its reach in Solano County. Interested in volunteering? Contact Stephanie at volunteer@sustainablesolano.org. With a 50 year professional career that spanned Active Service in the USAF (highly decorated Vietnam Veteran), Telecommunications and Higher Education, Constance was strongly influenced by a great love and responsibility to the Earth as modeled by her parents, education and her hero, R. Buckminster Fuller. Constance helped to bring higher education to thousands of employees on corporate premises throughout the State of California, served as the Associate Dean at Golden Gate University’s School of Technology, was a Hewlett Scholar at Menlo College and completed her Academic career as a founding Faculty member in Union Institute & University’s Doctorate in Education emphasizing Social Justice. 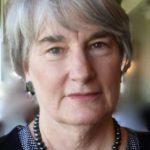 She initiated and held Benicia Emergency Response Team (BERT) training for several years, is a licensed amateur Ham radio operator, and was a founding member and Chair of the City of Benicia’s Community Sustainability Commission. She is a passionate videographer with over 300 videos on her Youtube.com/cmbeutel channel. Constance is committed to the advancement of women and the preservation of our planet. Nam is a writer, developmental editor, polydidact, and mother of two. She has a Masters in Publich Health from Touro University and is interested in environmental health and food systems. Passing by Avant Garden one evening coming from the Farmer’s Market with the kids in the wagon and her garden enthusiast husband beside her, she came upon Sustainable Solano soliciting applications for their permaculture demonstration project. Intrigued, they applied and have met many lovely people and learned so much about gardening and more. When the word came out that the organization needed some writing help, she was delighted to volunteer and join the Communications Committee. Her favorite garden book is The Secret Garden by Frances Hodgson Burnett. 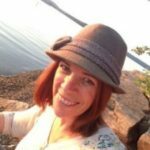 Kerry has a degree in Environmental Studies from UC Santa Cruz, excellent writing communication skills and passion for sustainability. Kerry brings to the organization her experience as a volunteer for Sustainable Contra Costa’s communication committee, where she gained first-hand knowledge of and experience in public outreach, social media campaigns and newsletter production. Kerry’s major responsibility is to increase awareness of Sustainable Solano’s mission, programs and accomplishments. 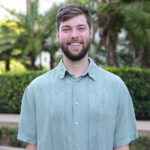 Roman was a CivicSpark Fellow working as a Sustainability Consultant at Benicia City Hall when he discovered Sustainable Solano and has been donating his time as a passion project since March 2016. Roman truly solidified a love for gardens and food systems through his work at the Sustainability Institute in South Africa, where he tended winter crops and helped develop a database for local Stellenbosch non-profit resource sharing. Since that time, he has worked in environmental youth development, trail building, residential tree care, and has developed a deep appreciation for working outdoors with his hands on positive land-based projects. For the past few months, Roman has been channelling that energy energy toward leveraging his work within the City to reach out to the community and support Sustainable Solano projects. Roman has has been offering his services in the form of writing, community outreach, and getting his hands dirty with the tools of the trade. Julie Batsel began her artistic interests when she had an epiphany as an 8 year old: she was aiming to draw one thing and it wasn’t manifesting the way she had planned. At first she felt frustrated and wanted to throw a hissy fit. Then she actually saw what the drawing was becoming. Though it was not what she had originally intended, it looked like something equally interesting, perhaps even more beautiful. She went with it and has been enjoying the journey with art in various ways ever since: painting murals for the California Conservation Corps; illustrating calendars and bandanas for Mountain Camp II; tearing paper to create colorful bulletin boards in the Berkeley public schools. Her latest artistic passions involve working with the living landscape and with the hardscapes that wend their way through it… in other words, in designing and shaping her garden, her paths, and outdoor spaces. This, she must do the SLOW way. Nothing has been more rewarding. Marilyn, a long-time resident of Benicia, is a civic & environmental activist with a life-long commitment to social and environmental justice. She is a founding member of the Good Neighbor Steering Committee, a local grassroots environmental watchdog, a founding member of Benicia Tree Foundation, an ex-officio member of the Benicia Community Sustainability Commission, and a certified member of the Benicia Emergency Response Team; in the past she served as a council-appointed member of the City of Benicia General Plan Oversight Committee. In her free time, Marilyn writes poetry, gardens, paints and hikes. 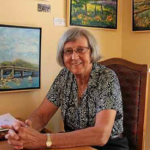 She is also an active member of Arts Benicia. Marlen is a business executive with a background in the nutraceutical, food and beverage industries and with an understanding for balancing a strategic vision and serving community needs. 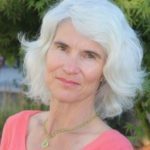 She is passionate about creating an environmentally sustainable, socially just and spiritually fulfilling world, and living in harmony with the environment. At Sustainable Solano, Marlen hopes to make a difference by creating a platform for engaging community members from all walks of life in conversations that matter to them and building resilience within the Solano community. In her free time, Marlen is an avid dancer, hiker, mentor and animal lover. Larry, a retired biomedical engineer and a long-time Benicia resident, has been interested in farming since boyhood. In his youth, Larry became a pig farmer through the Future Farmers of America program. Larry’s other passion – engineering – took his life in a different direction and he spent most of his professional career in biomedical field working for the VA and Shriner’s Hospital for Children, designing artificial legs, among his many projects. 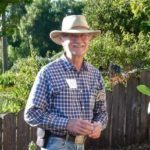 After retirement, Larry returned to his roots, first by actively gardening himself and later becoming Sustainable Solano Treasurer and our “chief engineering officer”: Larry designs and oversees the construction of all garden beds and other small structures in our programs (and he builds them too! – with help from other volunteers). Father and grandfather, Larry spends a lot of time with his family; he also enjoys cycling, canoeing, and singing. 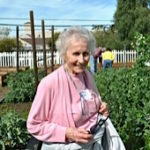 Mary, a life-long gardener and a long-time Benicia resident, grew up in a farm and used to manage a 35-acre family food garden and orchard in WA State. 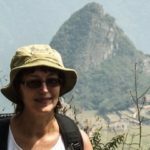 Mary is very active in our community; Besides serving on the Sustainable Solano board since its creation (Mary recently retired from the position of the secretary of the Board after completing 100 (!) Board Meeting Minutes), Mrs. Condit belongs to the Benicia Friendship Club, P.E.O, women’s philanthropic organization, and Vallejo Choral Society, where she was an active Board member until recently, and is still an active singer.